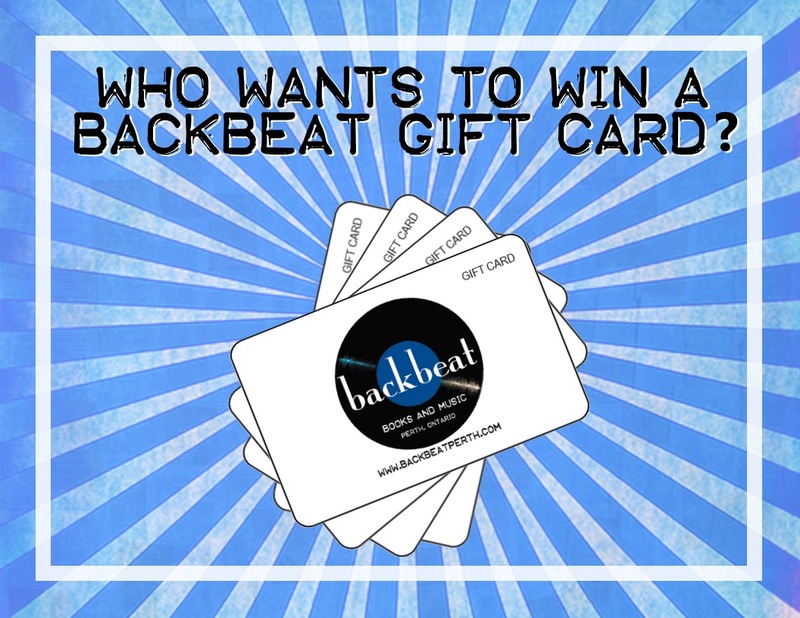 Who wants to win a Backbeat gift card? We will be giving away a $25.00 Backbeat gift card every Friday until December 22, 2017. That’s up to 7 chances for you to win a $25.00 Backbeat Gift Card to use on books, records, cassettes, accessories or anything else here at Backbeat! What do you need to do for a chance to win? Simple: come in, buy something, enter with your name and phone number, we’ll draw a name every Friday and call the winner! Entries will be received each week from Friday at 10am until Thursday at 5pm, starting on November 3, 2017 and ending December 21, 2017. One entry per person, per week with any purchase. Each week is a new draw. All entries from the previous week will be discarded.